Surfside Beach SC is often overshadowed by nearby Myrtle Beach. Although it doesn’t have as many world-class attractions as Myrtle Beach has, Surfside Beach is well worth at least a day trip for travelers. Indeed, Surfside Beach has earned such a high reputation for family-friendly fun that it’s informally called, “The Family Beach.” Whether you’re day-tripping from Myrtle or spending your entire vacation here, this article has got you covered. Below, we’ll go over the top things to do in Surfside Beach, SC and let you know the easiest way to get here. Does your family love waterslides? How about mini golf? Racecars? If you said “yes” to any of these suggestions, then you need to put a trip to Wild Water & Wheels Waterpark on the top of your list of things to do in Surfside Beach, SC. TripAdvisor certainly did. It’s true! Anyone who doubts us can mosey on over to TripAdvisor’s list of “things to do in Surfside Beach, SC” and see Wild Water & Wheels in then number one slot. So, what’s so great about this waterpark? 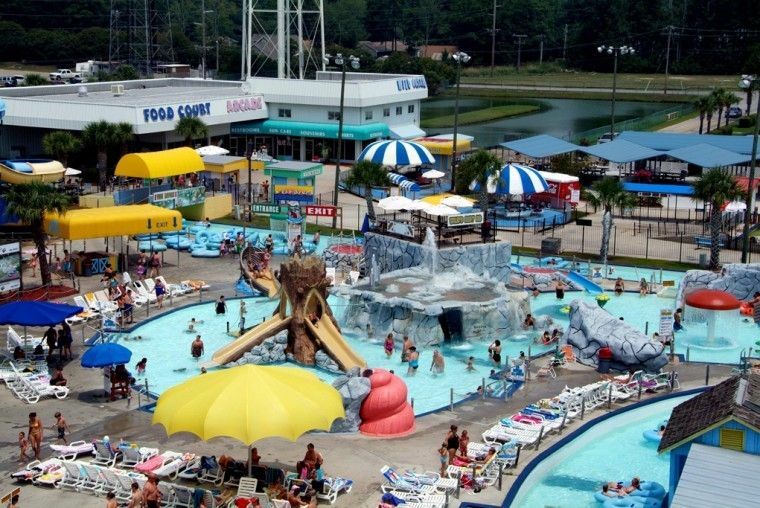 Visitors online say the Wild Water & Wheels is an exceptional family-friendly experience with plenty of thrilling water slides, tube rides, and a wave pool. Besides the waterpark, Wild Water & Wheels has a racetrack, mini golf course, and a kiddie area. Note, Wild Water & Wheels is only open in the summertime. You can find Wild Water & Wheels at 910 Highway 17 South. 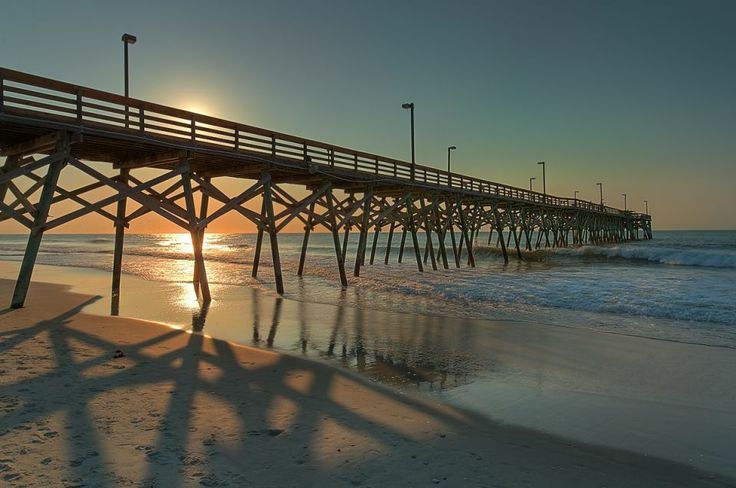 No list of things to do in Surfside Beach, SC would be complete without a walk along the town’s namesake beach and pier. Most reviewers online say the Surfside Beach Pier area is extremely tranquil and ideal for a sunrise or sunset stroll. There are plenty of restaurants and shops to check out in this area. Consider dining at an outdoor restaurant as the sun sets in the distance. Fishermen can cast a line from the pier for a small fee. Surfside Beach allows both bottom fishing and float fishing. Whether you go for a power walk or take it slow, a visit to the Surfside Beach Pier is an essential stop on anyone’s visit of this friendly town. As mentioned above, there are plenty of shops to browse while walking around Surfside Beach. Although there are many residential properties here, you’re sure to find a bunch of local stores near the touristy pier area. A few local stores that get special mentions on travel blogs include Eternal Wave Surf Shop, Beach Beads & Glass Studio, and Coastal Comics. If you’re looking for a bargain, head on over to Hudson’s Surfside Flea Market at 1040 Highway 17 South. Definitely plan a few hours to check out the local shops in this fabulous town. Like most other beaches along the Atlantic coastline, Surfside Beach has exceptional seafood joints that will satisfy your foodie cravings. A few of the best restaurants in the city include The Golden Egg, Joey Doggs Burger and Fries, and Crabby Mike’s Calabash Seafood. For a sweet treat, definitely don’t neglect to take a trip to the highly reviewed Meyer’s Ice Cream Parlor! Besides the taste, the best feature of Surfside’s restaurants is that they are all extremely affordable. If you want a fancy-dancy fine dining experience, however, you’ll have better luck in Myrtle Beach. Feeling tense? Finding it difficult to relax? Then maybe it’s time for you to book a massage at one of Surfside Beach’s spas. One of the best-reviewed spas in the area is the Rejuvenation Spa at the Grand Beach Hotel. In addition to classic Swedish massages, you’ll find plenty of the latest relaxation techniques at this and other spas in the area. Feel free to schedule your first Reiki session, get a waxing, or order a balm bath with aromatherapy. Hey, it’s your vacation; you’ve earned the right to pamper yourself! You can find the Rejuvenation Spa at 9449 Collins Avenue. Let’s get real for a second: there aren’t hundreds of things to do in Surfside Beach. Please understand, we’re not putting Surfside Beach down…it’s just, you know, you might get the urge while you’re here to take a short trip to Myrtle Beach. It will only take you 20 minutes to drive from Surfside Beach up to Myrtle Beach. Once you get to Myrtle Beach, you’ll find too many things to see and do! 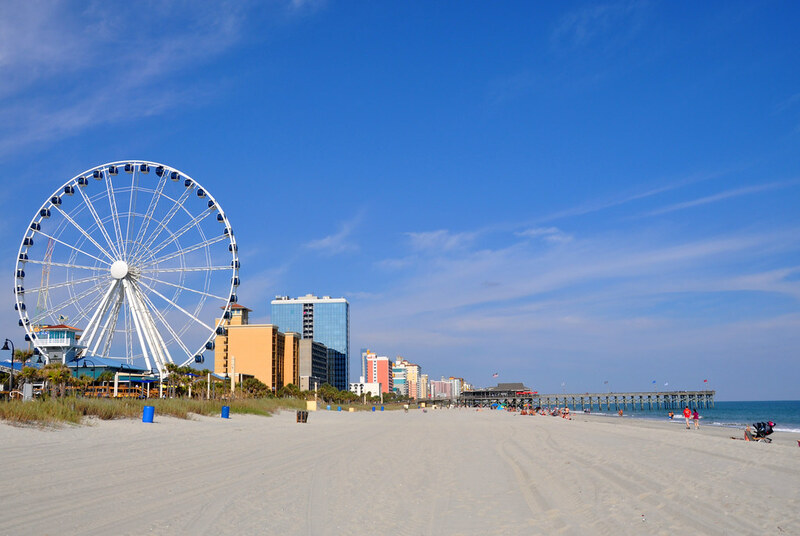 Besides the beach, some of the hottest tourist areas here include Broadway at the Beach, the Myrtle Beach Skywheel, and Ripley’s Aquarium. And, of course, feel free to splurge on some fine dining experiences while you’re in this foodie’s paradise. After you’re exhausted by all of the excitement at Myrtle Beach, feel free to retreat to the more relaxed pace of life at Surfside. Now that you know all the great things to do in Surfside Beach, SC, it’s that time to figure out how to get there. Unsurprisingly, the closest airport to Surfside Beach is the Myrtle Beach International Airport (IATA: MYR). Anyone flying from far away will most likely have to land in either Hartsfield–Jackson Atlanta International Airport (IATA: ATL) or Charlotte Douglas International Airport (IATA: CLT) before transferring to MYR. The good news is that once you do land in MYR, it’s only a short drive from the airport to Surfside Beach. Head south out of the airport onto Jetport Road and turn right on Harrelson Boulevard. At the second cross take another right onto US-17 BUS South and follow for almost six miles. You should see the entrance onto Surfside Drive on your left. Surfside Beach may not have all the pizzazz of Myrtle Beach, but it does have its own unique charm. People who like a laid-back beach-going experience will really enjoy a trip to Surfside Beach. Take another look through this list of things to do in Surfside Beach, SC to figure out what you would most enjoy on your trip to the region. Oh, and sure to bring a good pair of sunglasses if you’re visiting in the summertime!